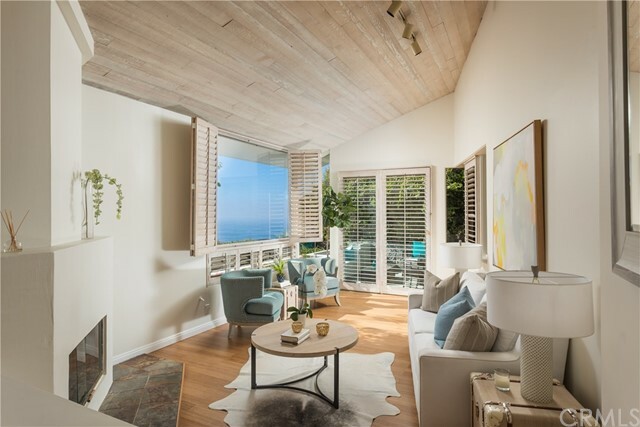 Nestled in the hills above Victoria Beach, this Midcentury home blends in with its beautiful surroundings. 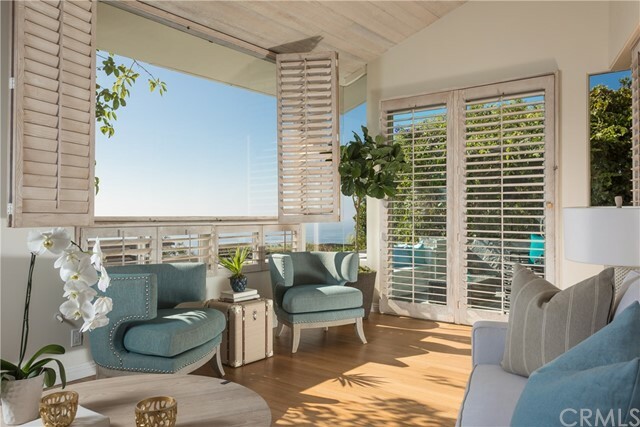 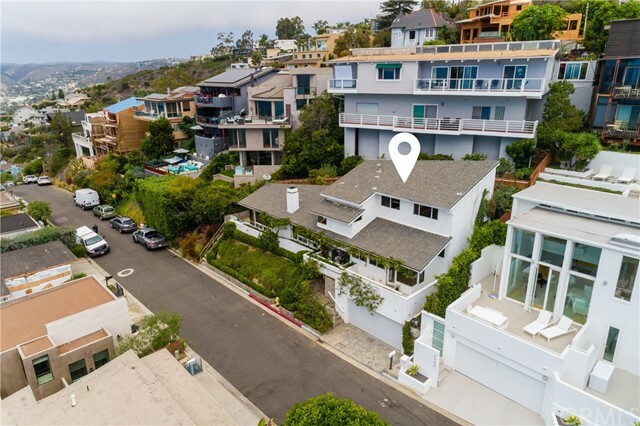 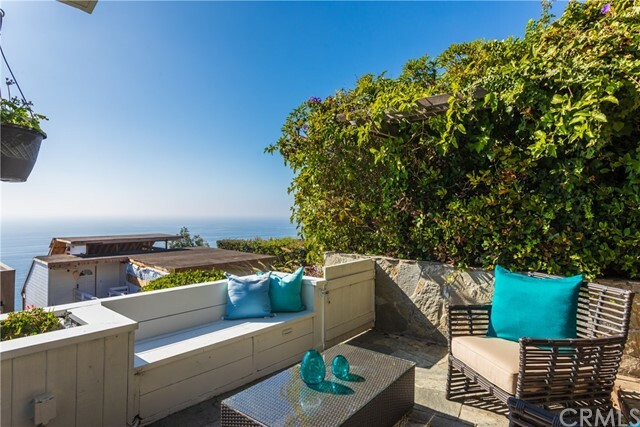 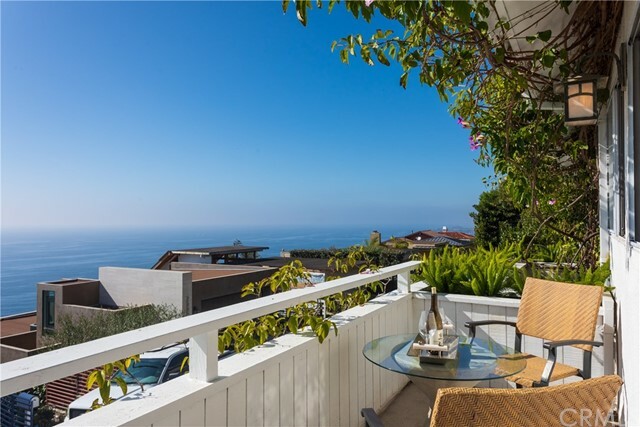 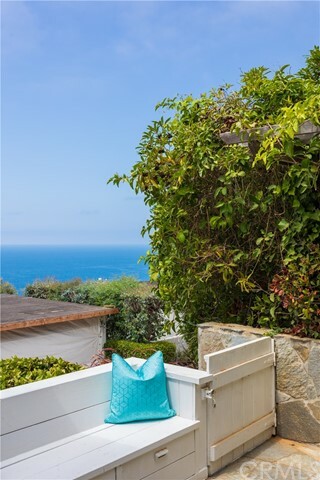 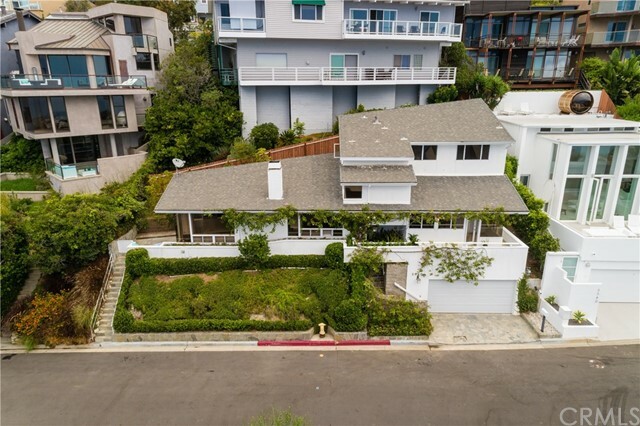 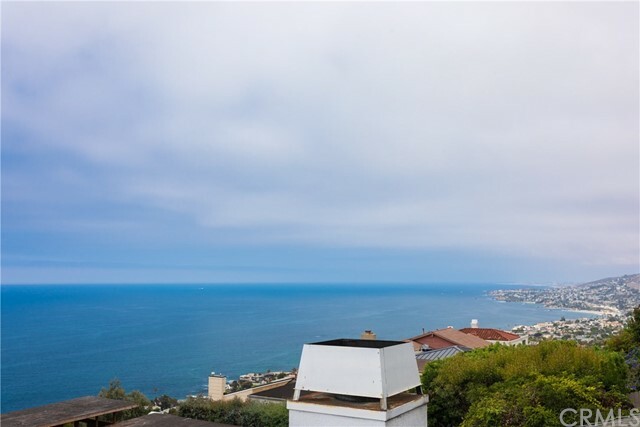 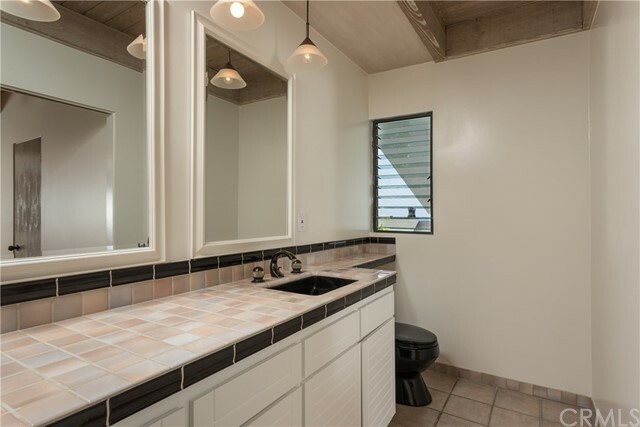 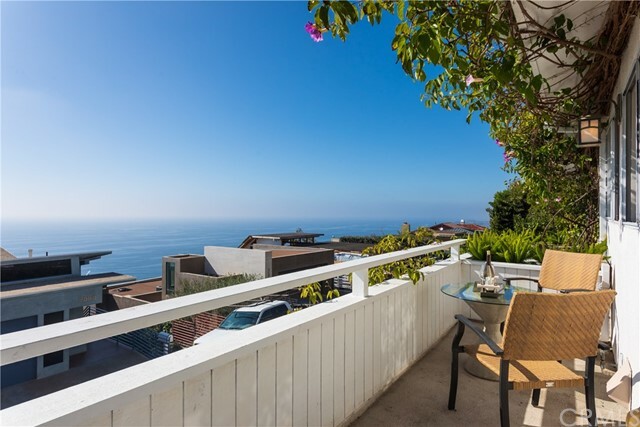 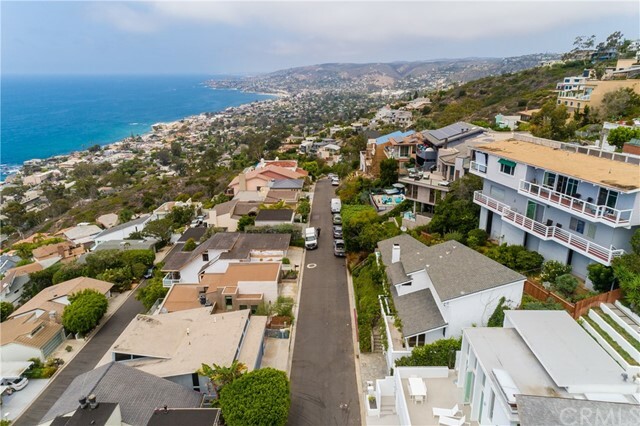 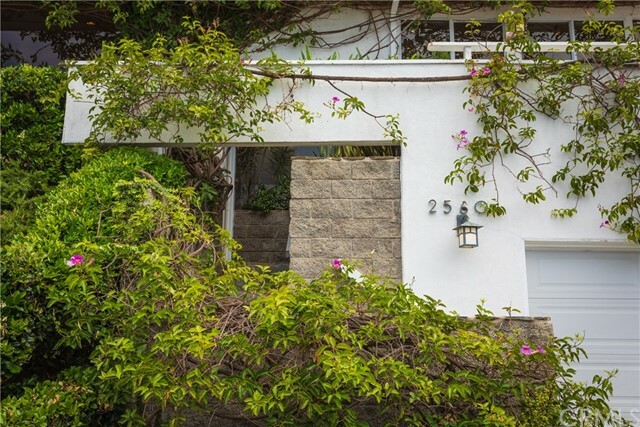 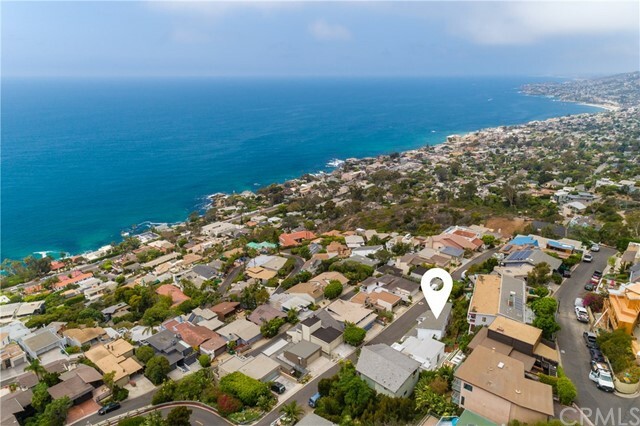 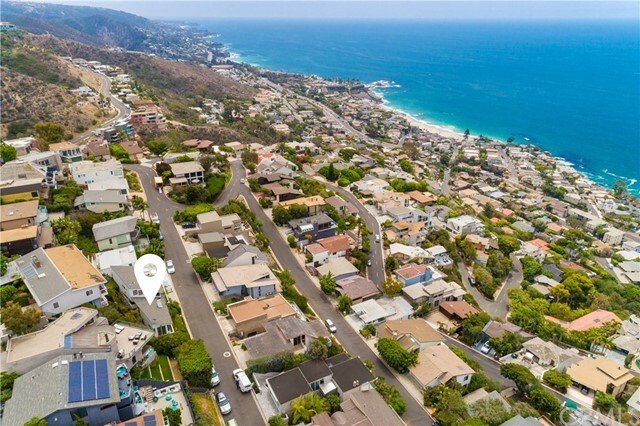 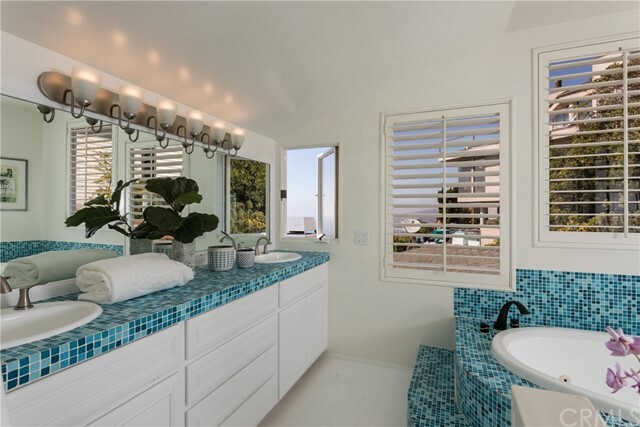 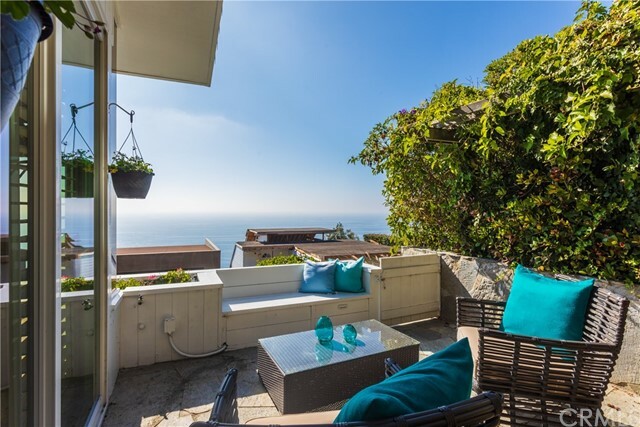 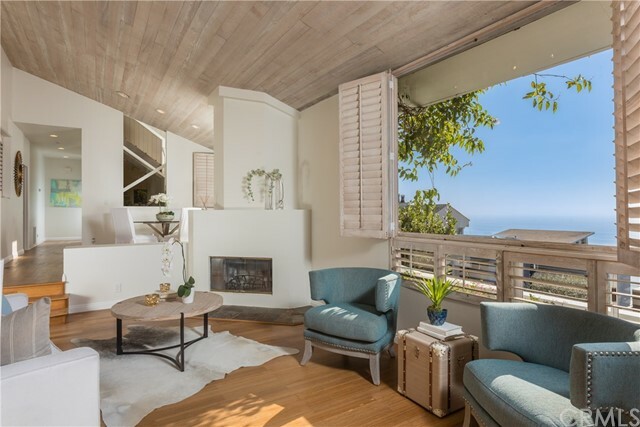 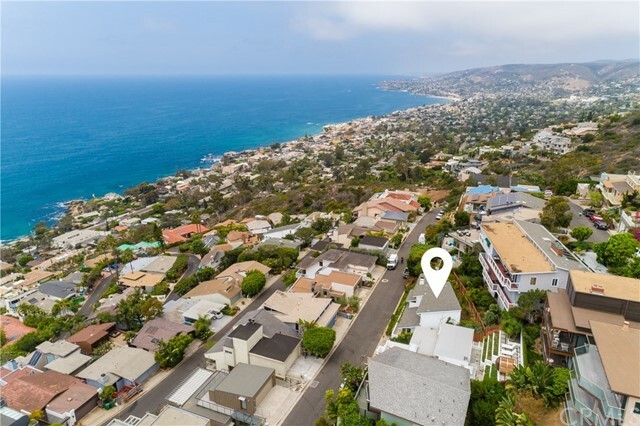 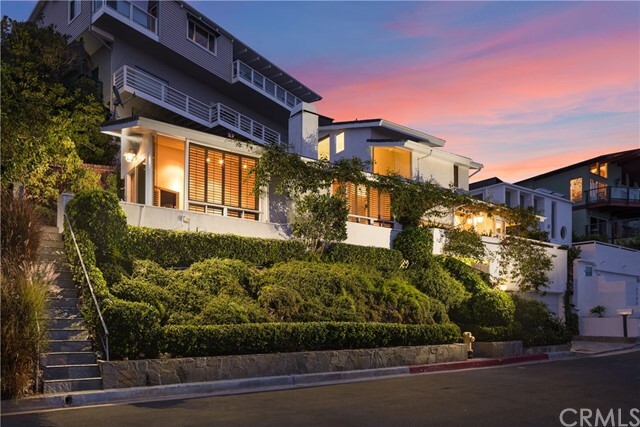 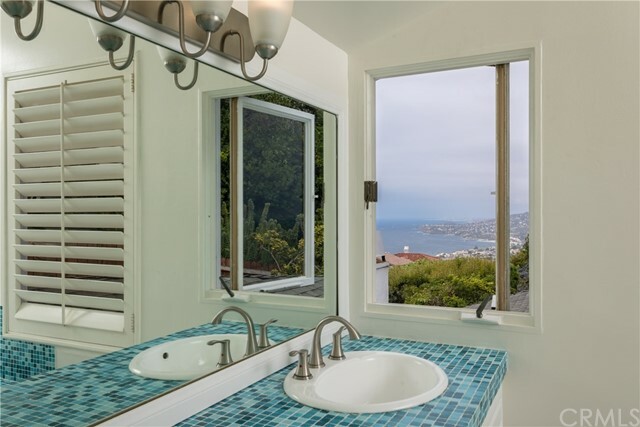 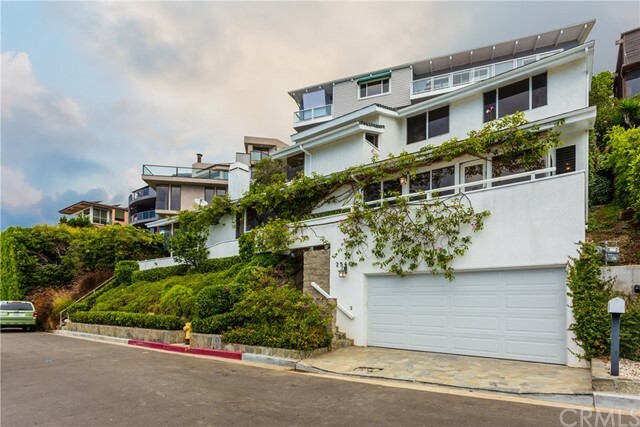 Situated above the street level, this property runs the length of the lot capturing sweeping ocean and Catalina views from nearly every room. 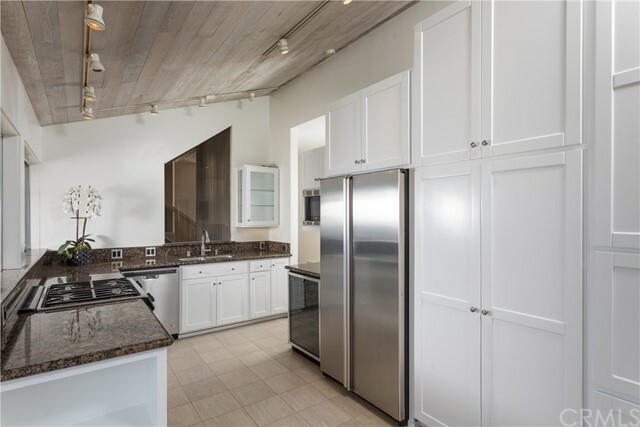 The home features stunning high vaulted wood ceilings in both the living room and master bedroom as well as beautifully refinished hardwood flooring throughout. 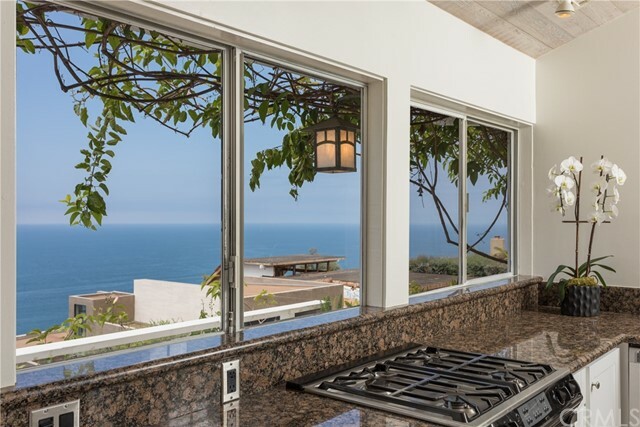 The spacious living room with its spectacular views opens out onto a stone paved patio where one can enjoy sunsets year round. 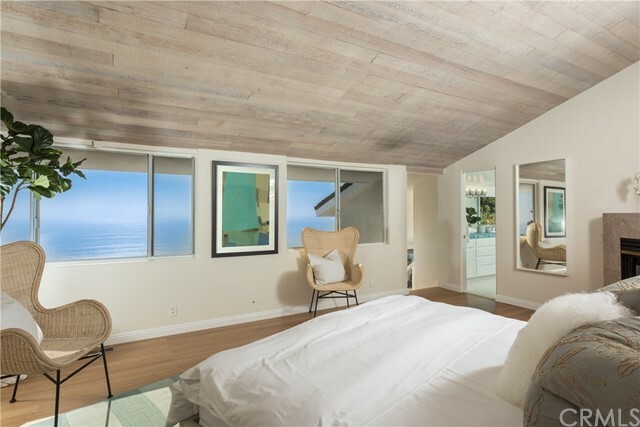 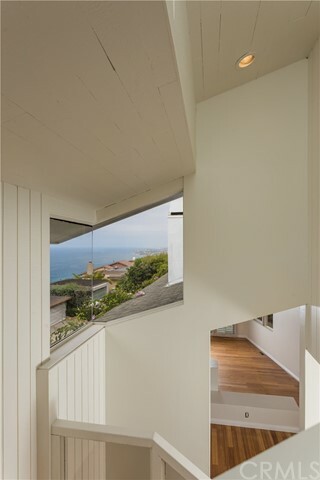 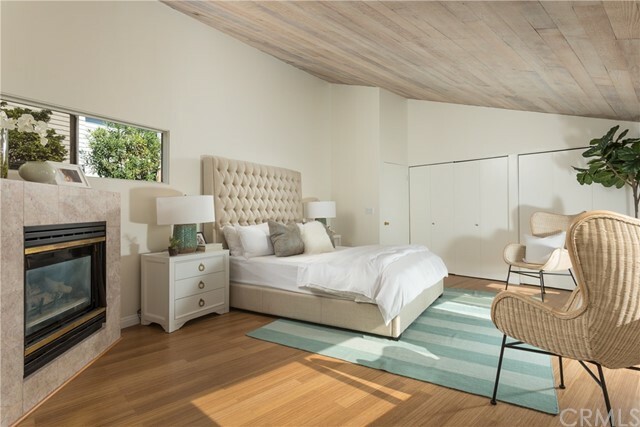 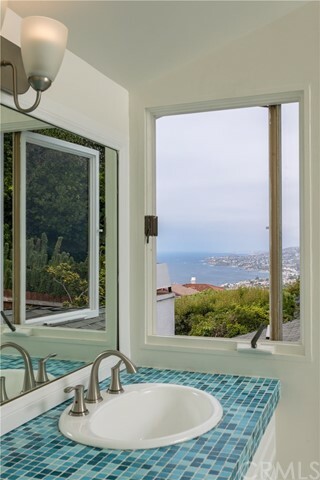 The second floor master bedroom warmed by a cozy fireplace shares its coastline views with the master bathroom. 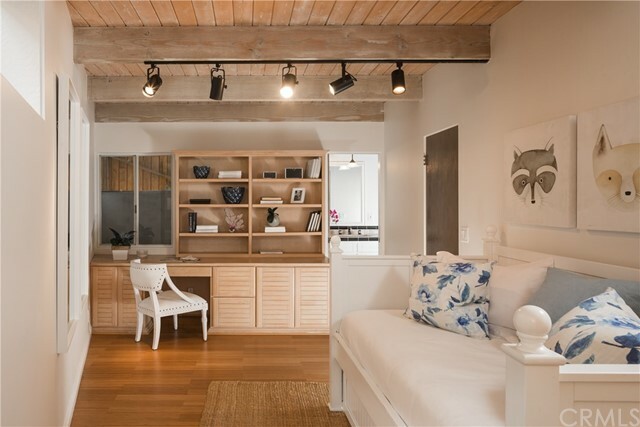 The second bedroom has a built in desk and full ensuite bath. 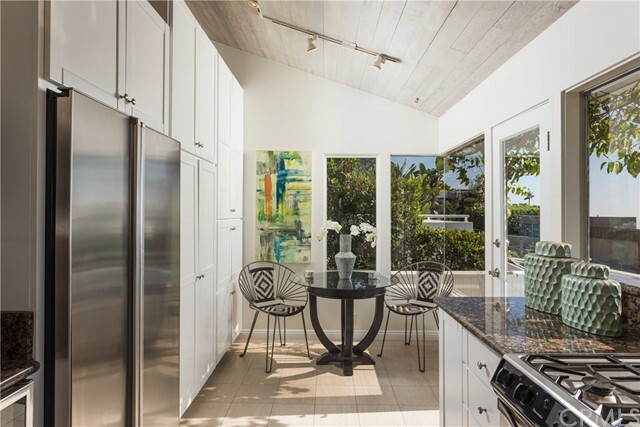 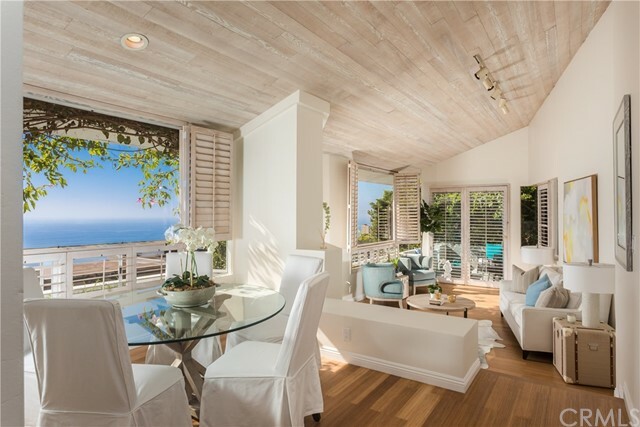 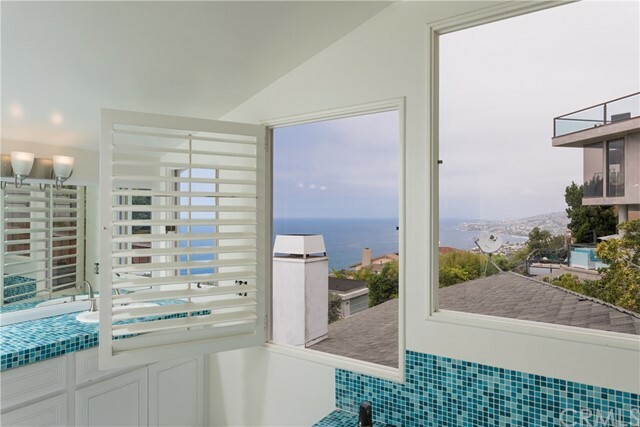 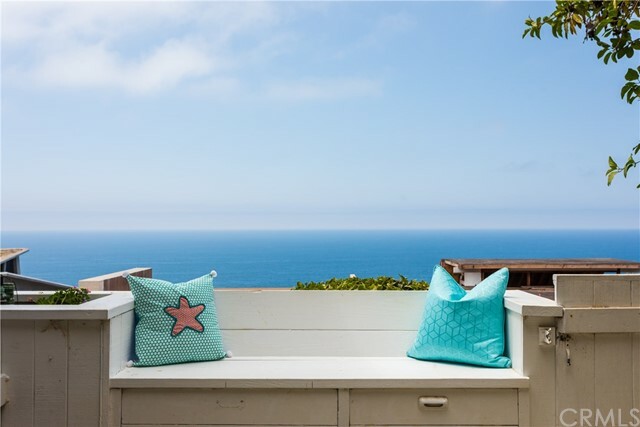 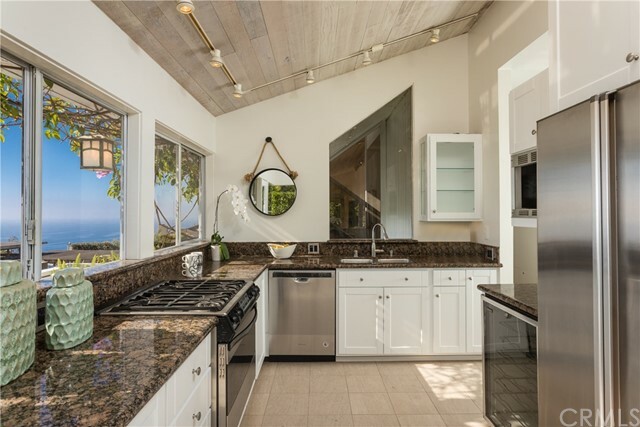 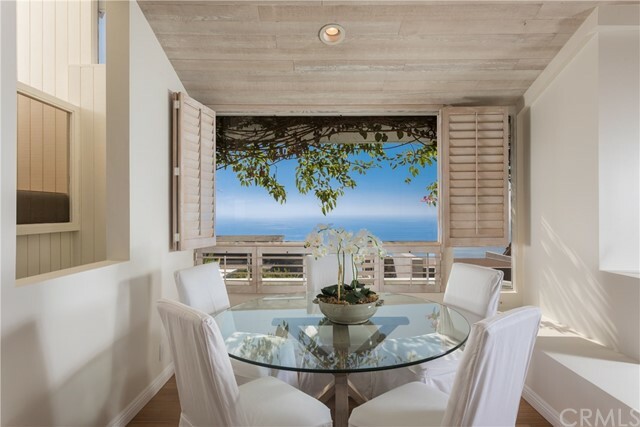 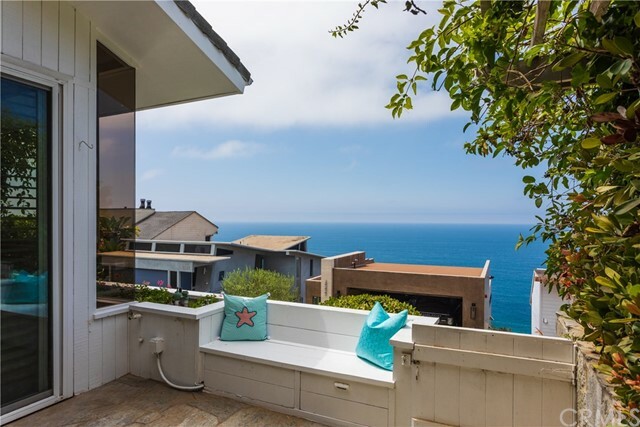 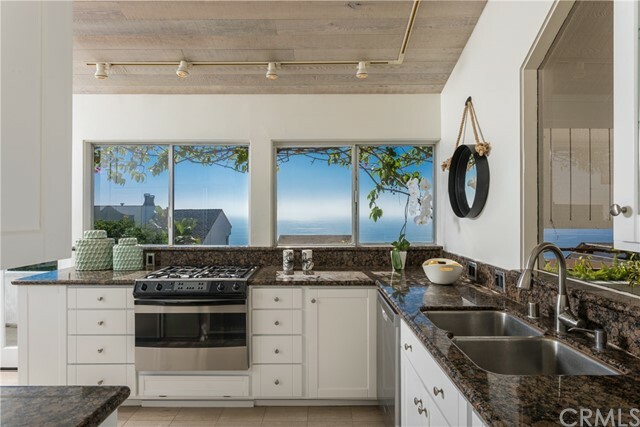 Bring the ocean breeze into the kitchen with panoramic views and a wraparound deck. 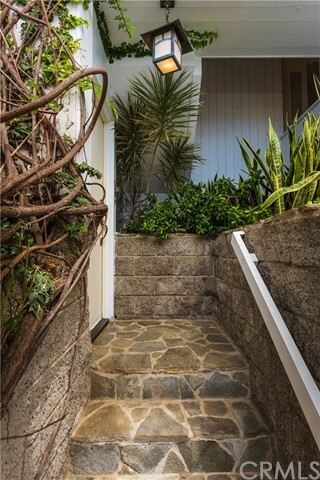 Climbing vines on the balcony complement the surrounding lush landscape. 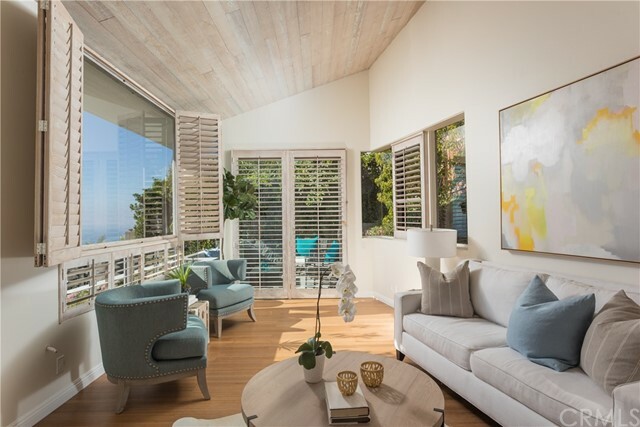 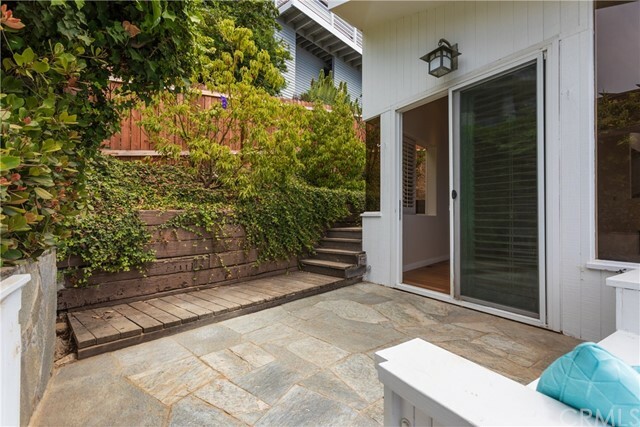 Whether this is a weekend getaway or a place to call home, 2560 Juanita Way is a true sanctuary.